Midweek Madness - Portal 2, 50% off! Portal 2 is this week's Midweek Madness! Celebrate the winner of three British Academy video game awards, including Best Game, by taking 50% off now through Thursday at 4pm Pacific Time! Portal 2 draws from the award-winning formula of innovative gameplay, story, and music that earned the original Portal over 70 industry accolades and includes an extensive single player campaign as well as the unique two-person co-op experience with it's own dedicated storyline. 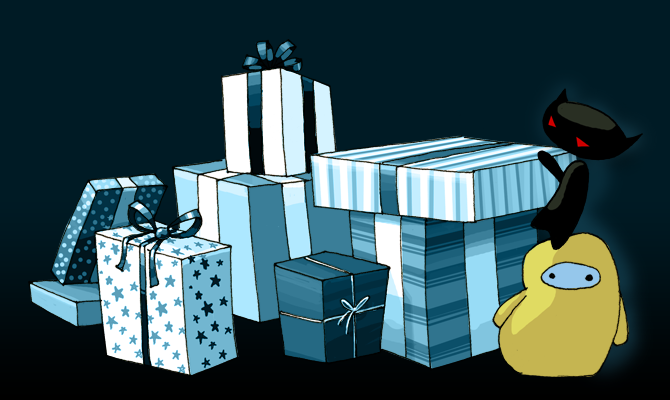 The Steam Holiday Sale is on now through Sunday, January 1, 2012. In addition to huge savings throughout the store, the 2011 sale features two special promotions that allow you to win like never before. 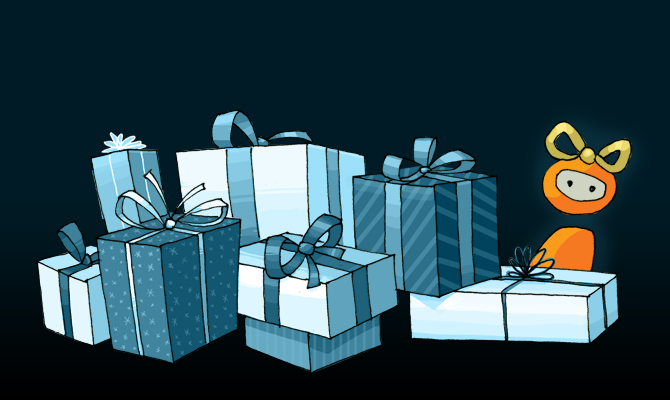 The Great Gift Pile challenges gamers to complete up to six objectives each day. Completion of each objective grants the chance to win a free game or discount coupons for select games available on Steam. If you dont win, no worries, youll be given a piece of coal. But hold onto that coal! Coal is the ticket to enter the Epic Holiday Giveaway. Its called Epic because the top prize is every game on Steam. The more coal you have, the better your chance of winning. Players may alternatively choose to magically mix their coal into something shiny and new by crafting seven pieces into a gift from the Great Gift Pile. So this year receiving coal is a good thing. Didnt get what you want? Of course Steam allows you to trade coal and prizes with your friends. Further details on these events and information on how its progressing may be found here. Complete information on all the savings, daily deals, featured publisher game packs, compilations and more may be found on www.steampowered.com. Midweek Madness - Portal 2 50% off + Free DLC! Portal 2 is available at 50% off now through Thursday at 4pm Pacific Time. Also, FREE DLC just released! Peer Review is the first DLC for Portal 2, the year's most brain-bending action-adventure game. Featuring a devious new co-op track that continues the story of Atlas, P-Body and GLaDOS, the DLC also includes both single and multiplayer challenge modes, plus leaderboards so you can compare your portal placement and time scores with the Portal community. Pre-load Portal 2 and be ready to play when it releases.